Seeds: The beginning of life. How to choose and save the right seeds for your garden. I admit to being a seed catalog glutton. 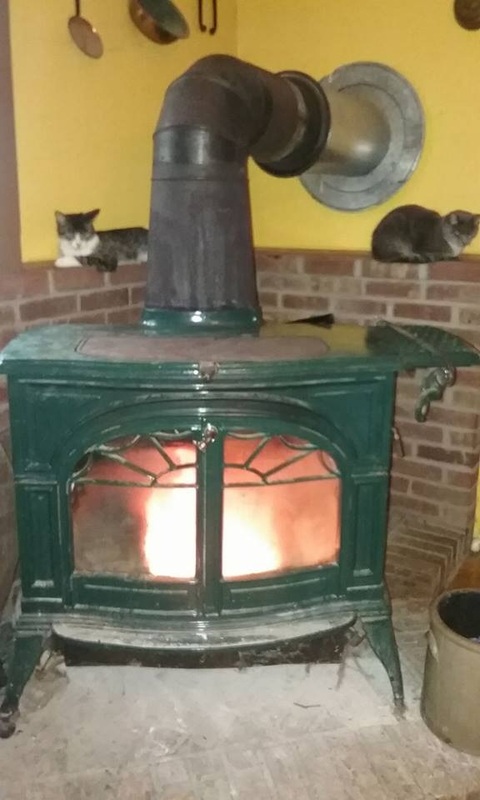 And while websites are wonderful and paper free I find guilty pleasure, sitting in my rocker by the woodstove in January devouring the pages. There are many wonderful seed companies. But all those beautiful pictures, skillfully written descriptions and array of terms can be very confusing. The seed is the very essence of plant life. In scientific terms, the seed is the mature embryo of the plant. And just like any other “baby” the seed will grow and develop into a productive adult with proper nurturing. Seeds are dormant (little sleeping beauties) and will come to “life” during germination. The gardeners goal is to wake sleeping beauty and turn her into viable and delicious plants. There is a lot of controversy over such small objects! Knowing what some of the terms mean can help you decide what to buy. Seeds fall into two categories. Heirloom and Hybrid. Heirloom plants reproduce naturally through open pollination. Hybrids are created by scientists using cross pollination techniques. More about both types below and how they affect your seed growing. Hybrids - Evil Creatures of the Night? Hybrids are not evil creatures of the night. They are a plant variety that was developed by cross breeding two different varieties. Hybridization is not new. The Aztecs began breeding maize varieties as early as 800 AD and George Washington Carver made a career in the 1920’s of developing peanut varieties and finding ways to market the crop. Controversy has developed over time as corporations have bred hybrids solely as a marketing strategy or a way to dominate in the field. Hybrids result from controlled inbreeding and limiting the genetic diversity. Many modern hybrids are bred for shipping. Eat any store tomato and you will know this is true. Soft fruits such as tomatoes and berries have been selected and developed for shipping long distances. Taste was sacrificed. You cannot save seeds from hybrids. Hybrids have a letter/number to identify them such as F1 and F2 .The F is for filial (meaning offspring) and the number shows which generation hybrid they are after controlled cross-pollination. A seed from a F1 hybrid will not produce true to type and an a F2 hybrid will produce sterile seeds. If you are growing hybrids, you must buy new seeds every year. Hybrids do have advantages. One advantage is disease resistance. Your garden may be prone to different disease organisms depending on your location. The humid south is prone to fungal diseases. If you live in such an area it may be advantageous to grow a plant that is resistant to a certain disease. Read the descriptions in your seed catalog carefully for information about disease resistance and taste trials. Open pollinated plants reproduce through natural means of pollination such as insects or wind. Seeds from open pollinated plants can be saved and will grow true to their parent. Heirlooms are open pollinated varieties. Having an organic garden is at an advantage when growing heirlooms because it will also support insect life. Generally, these varieties predate 1945. Some may be hundreds of years old. Heirlooms may be self-pollinating or cross-pollinating. Heirloom plants were often developed for taste and hardiness to geographic areas of the country. One advantage to growing open pollinated heirloom plants is that you can save the seeds. As your plants mature this summer pick some of the best ones for seed saving. Beans, melons, squashes, and tomatoes are easy plants to start with. By choosing the best plants for seed saving the gardener is using selection to improve their production. Saving seeds builds food security while saving money. This helps your annual garden budget to shrink so that you are spending less money overall on food. You can also save seeds from your favorite plants thus assuring you will have them next year. Saving seeds can actually help improve your garden. By selecting the best plants to save seeds from you improve disease resistance, get a higher yield and an increased adaptability to environmental stress. When you plant your own seeds you know they are organic and grown in the best way! I view saving seeds as a tool for reaching my self-sufficiency goals but it is also a big fun experiment. When saving seeds it is important to learn something about plant pollination and reproduction. Pollination takes place one of three ways; self, wind and insects. Self-Pollination means the plant accepts its own pollen and does not need an outside source such as a bee to complete pollination. Such plants include beans, peas, oats, lettuce, wheat, and tomatoes. Seeds from these plants are easiest to save because there is little danger of cross-pollination. Cross pollination happens when one plant exchanges pollen with a plant of another variety. Vegetables can cross-pollinate with others in their same species, which means you have to separate them. Plants that are wind pollinated can do just that. Wind pollination means that the plant accepts pollen from other plants of the same species. Corn, Swiss chard, beets, spinach, and rye fall into this category. It also means that you have to spread varieties from the same species further apart so that they do not cross-pollinate. This is a biggie with corn if you want to grow several varieties such as sweet corn for eating and dent corn for flour. Different corn varieties should be planted at least 150 feet apart. You can also plant your corn at different times so that it matures separately. If you have two types of corn that take 100 days to mature then you can plant them closely if you sow those three weeks apart. Insect pollination occurs when insects carry pollen within the same species. Bees have the best reputation as pollinating insects but ants, hoverfly’s, butterfly’s, and beetles are also important pollinators. Plants in this group need to be isolated. You can isolate your crops in a variety of ways. One is to simply plant different varieties at different times so they do not flower simultaneously. Another way is to cover plants before they blossom with a wire/garden fabric cage. What Is Best For You - Heirlooms or Hybrids? Each person needs to decide what percentage of heirlooms vs. hybrids to grow to meet their gardening needs. Have a plan for your garden and what you want to grow. 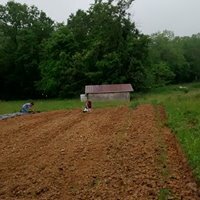 I grow about 90% heirloom plants. I want to have the independence of saving seeds and I love the full flavors. But I do have several hybrid varieties such as Sungold tomatoes that I like and purchase every few years. Many gardeners develop a palate of preferred varieties that do well for them. It’s worth cozying up to your gardening neighbors to find out which varieties they grow and why they like them. I suggest buying a few new varieties each season. That way you can determine what grows well in your climate and soil and what tastes great on the table. I prefer to order from those companies that are dedicated to sustainable agriculture. One thing to watch for is the Safe Seed Pledge developed by the Council for Responsible Genetics. While this is a volunteer opportunity for seed catalogs, with no external regulation, it does give you a sense of the company’s ethics and priorities. You can dig deeper into a company and look at ownership. Look for family and employee owned companies. The majority of seed companies are part of large corporations that own multiple companies. These should be avoided by organic gardeners as many participate in GMO research and chemical resistance . Do they raise and develop their own seed, buy from other small farmers or large corporations. What types of seeds are they selling - heirlooms or hybrids? What type of supplies are they selling? Do they promote chemical or organic fertilizers and pesticides? Fedco is a cooperative and owned 60% by there consumers and 40% by employees. They are very transparent use a supplier code where #1 means the seed was grown on a small seed farm and/or by Fedco staff and #5 means the seed was grown by a large multinational company who engages in genetic engineering. 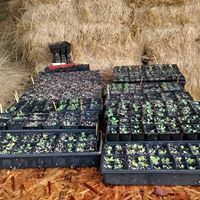 Johnnys Seeds is located in Maine, as is Fedco, and is one of the leading seed companies for sustainable farmers. Johnnys is the grandfather of quality organic seeds. They have a broad range of seeds and supplies and great product videos. Ame Vanorio is a freelance writer and the Founder/Director of Fox Run Environmental Education Center located in Falmouth, KY. Fox Run is a 501c3 non-profit whose mission is to educate the public about environmental concerns and serve as a wildlife rehabilitation facility. Older PostWork That Plan! Planning for a productive sustainable garden.